The day is divided into 100 parts (centidays) and the time is given to three decimal places. Think of it as a percent of the day that has passed. Mid-day will be 50.000 LMT (Local Metric Time) in metric Time. How many full hours are left until the end of the year? The Mayans used a vigesimal (or base-20) numeral system. Mayan numerals use only combinations of dots (ones) and bars (fives) to form numerals for 1 to 19, and a stylised shell glyph for zero (not shown here). The day is divided up into 65536 parts and written in hexadecimal (base-16) notation (A=10, B=11 ... F=15). The "0x" at the begining is just to signify that it is in hexadecimal notation, we could just leave it off or use some other signifier. Like hexadecimal time, the day is divided into 65536 parts, only we display it as a binary number using squares for bits, here using dark squares to represent 1 and white for 0. Octal Time uses a base-8 system (digits 0-7). The day is divided into 32768 parts for a total of 5 octal digits. The right-most digit updates about every 2.6 seconds (half the speed of hexidecimal time). Base-64 uses ASCII characters (in ascending order: A-Z, a-z, 0-1, +, and /). Can you figure out how you would convert Base 64 time to mormal time? 9Y-Ma1 argue that you have failed to subtract 1 hour on the last sunday of October hence 1 hour needs to be added accordingly. 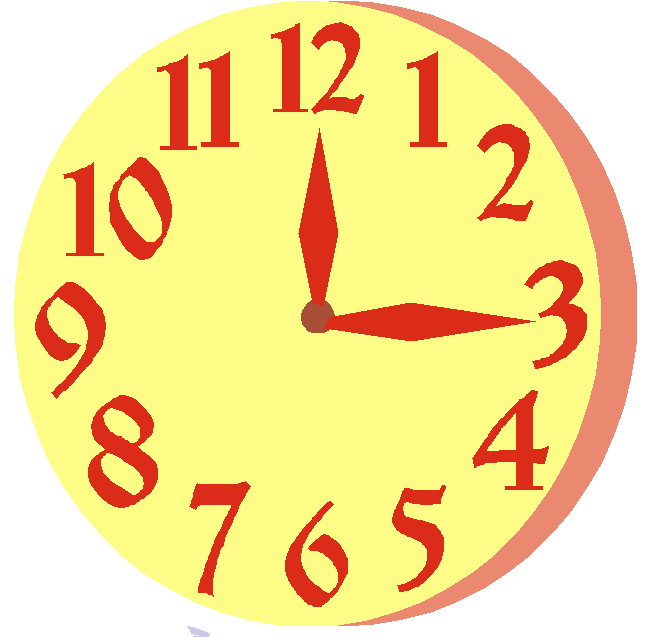 We think that you have forgotten the extra hour when the clocks go back. What about the extra hour when the clocks go back? The extra hour has now been included in the answer. Thanks Mr Ditta and 9Y-Ma1 at Stokesley School, Year 6 at St. Philip's Uckfield and Mary Brentnall. My Primary 7 class in Mercy Primary school, Belfast, look forward to your mental maths starters every morning. The variety of material is interesting and exciting and always engages the teacher and pupils. Keep them coming please. At BCJS in Mr Jenkins maths group, on 21/10/13 at 12 o'clock. The majority of the class said the answer was 1717 hours until the end of the year. The method we did was 71 days x 24 hours = 1704 add 12 hours = 1716 add 1 hour because of the time change = 1717. So our last answer was 1717. This starter has scored a mean of 3.3 out of 5 based on 125 votes.